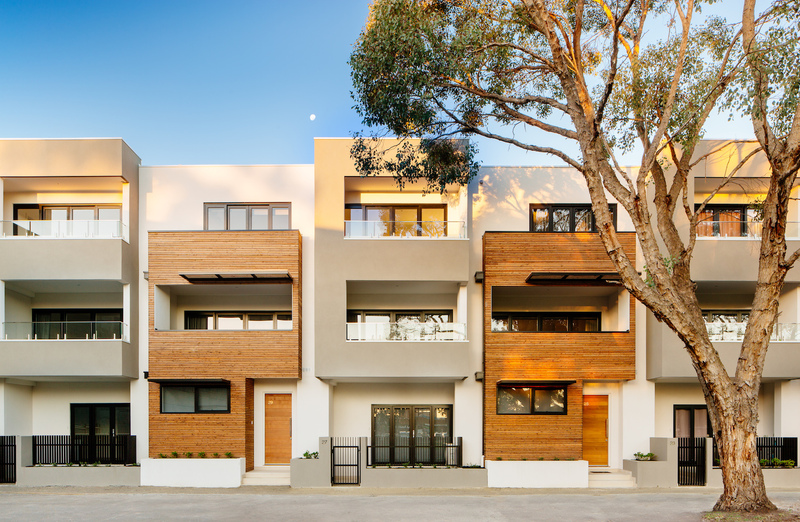 The modern Barkly Townhouses in Brunswick provide a limited opportunity to own your piece of Melbourne’s inner north. With Melbourne’s skyline as your backdrop, The Barkly’s location is truly first class. A stone’s throw from the CBD, your new community is flanked by shops, cafes and eateries and lies among some of Melbourne’s best lifestyle essentials including beautiful Princes Park, universities and hospitals. Your inner city lifestyle awaits at The Barkly. Brunswick is a well connected community with tram, rail, bus and cycle routes at your doorstep. Each townhouse has been designed by ROTHELOWMAN to create a unique personality and flexible floor plan. Offering you a private retreat, the interiors are abundant in natural light with internal courtyards and generous rooftop terraces. No detail is overlooked with beautifully appointed kitchens which feature stainless steel European appliances and large stone-topped benches.